Send a shiver of delight down your guests spines with these delightful winter-themed bookmarks! Their unusual snowflake design is sure to win admiration! Perfect for winter weddings, they will bring a touch of midwinter magic to any banquet table. 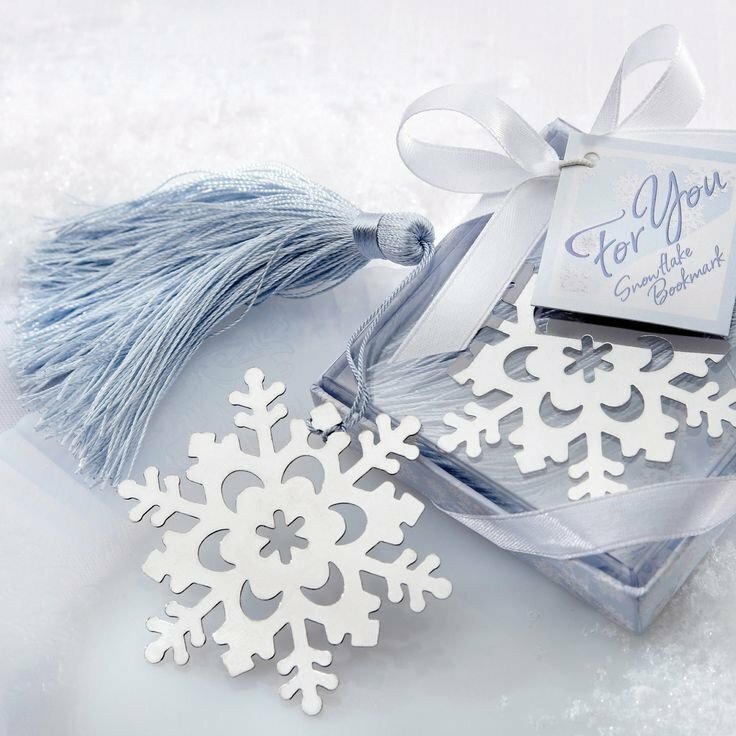 Packaged in a silvery blue gift box with PVC lid and bow. Dimensions: Width 7 cm, Length 7 cm, Height 2.2 cm.